Gwydyr Forest is one of the most beautiful in Britain. Its forested hillsides sweep down to clear lakes or fast flowing rivers, set against the backdrop of the dramatic mountain skyline. The northern forest, centred on Betws-y-coed and Llanrwst, is deservedly popular but, to get away from the crowds, come and explore the southern forest around Dolwyddelan and Penmachno. 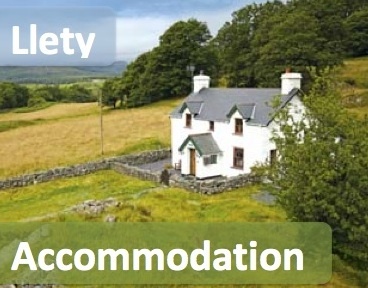 Here you can get ‘off the beaten track’and enjoy peaceful walks through unspoilt and historic landscape, with superb views of the Snowdonian peaks. Dolwyddelan and Penmachno grew into large communities when the nearby slate quarries were at their peak. Both villages boast ancient churches, and numerous chapels bear testament to the devout support for non-conformism amongst the quarrying and farming families in the 18th and 19th centuries. The surrounding countryside is threaded with a network of historic paths, giving wonderful walking opportunities. Imagine the legions of Roman soldiers marching along Sarn Helen, between the fort at Caerhun and their large camp at Trawsfynydd. Follow in the footsteps of the drovers who walked their herds of cattle across the moors to market. Trudge the paths worn by the slate quarrymen and discover the ruins of the hillside quarries. Climb up to romantic Dolwyddelan castle, a stronghold of Welsh Princes in the turbulent Middle Ages. Wonder at the gorges and tumbling waterfalls of the rivers Machno and Conwy that were such an attraction for Victorian tourists. Learn about the scholarship of William Morgan and the legacy he left the Welsh language by visiting his birthplace at Ty Mawr. Explore the ruins of medieval Tai Penamnen, built by the powerful Welsh nobleman, Maredudd ab Ieuan, as his family home. Wonder at the craftsmanship of Pont Gethin, a majestic Victorian viaduct across the Lledr built by Gethin Jones, the renowned local engineer. These files describe circular walks from each village and longer linear walks connecting both villages, Capel Curig and Betws-y-coed. Trains run regularly from Betws-y-coed to Dolwyddelan and buses run through both villages so you can leave your car behind on some walks. Pick up timetables from Betws-y-coed TIC (Tel: 01690 710426) or telephone Traveline Cymru (08706082608).